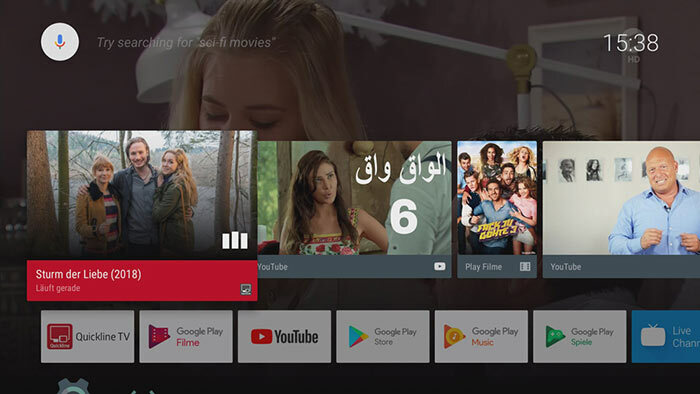 Quickline has launched a new innovative UHD Android TV product – Quickline TV – which combines classic television with on-demand content and apps. The linear TV features more than 190 TV channels, including over 110 in HD quality, via DVB-C or OTT streaming. It allows restart TV, 7-day replay, network PVR (with storage capacity up to 1.200 hours), live Sport and radio services. The Quickline UHD application supports not only this TV functionality but embeds a video-on-demand service with more than 2.400 films. Using Android TV brings all the power of Google’s multi-application framework to this product. The app line-up comprises, for example, Netflix, YouTube, Google, Spotify, Sky and DAZN – including personal recommendations. The compact set-top box from Sagemcom is based on Broadcom’s BCM7271 SoC and can be used to view Ultra HD content. Broadband TV News article about Quickline UHD box (English). 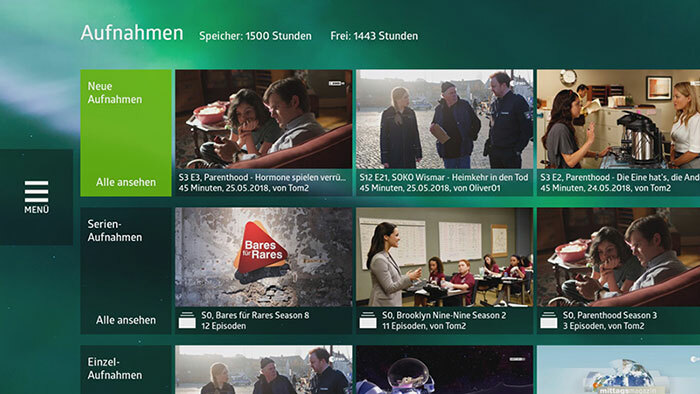 TARA is responsible for the complete TV middleware including the playback of DVB and OTT services as well as the communication with the backend servers. We brought in major parts of our Inaris DVB/IPTV Middleware for playback of DVB services including support for DVB subtitles and Teletext. 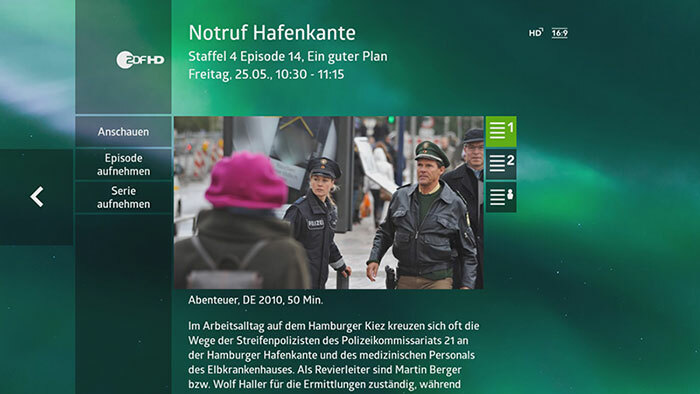 For OTT services we used our own OTT HLS player for adaptive streaming via HTTP. This player is highly optimised for fast channel changes and media navigation. For content protection we integrated the Verimatrix ViewRight ultra security client into our DVB and OTT players. All the player functions for live TV, Replay TV and network PVR are provided via Android TVs TV Input Framework API. 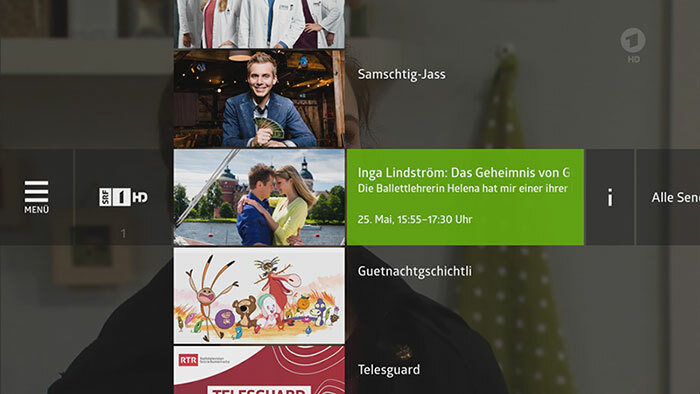 For OTT subtitles we will soon also support WebVTT via HLS. Typically Teletext is not supported by OTT streaming, so we provided our own web-based Teletext server that is integrated into Quickline’s backend. This server collects all Teletext pages of more than 100 services in a Teletext database that is updated in realtime. The user gets instant access to all Teletext pages without any waiting time. Metadata is the backbone of the Quickline product. We implemented all the client-side communication with the back-end servers to get access to all metadata. 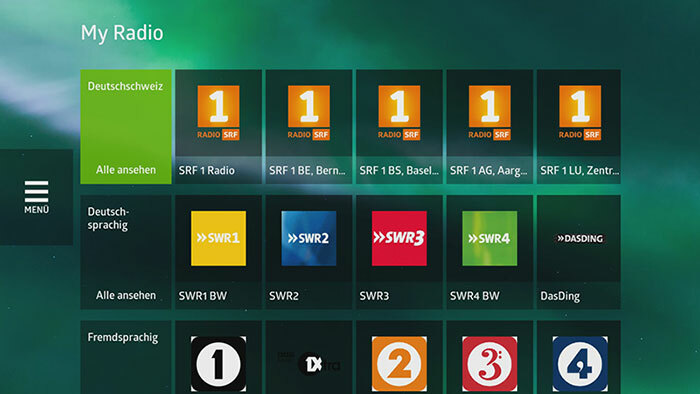 This includes channel line-up for DVB and OTT live channels, EPG (one week in the past and two weeks in the future), network PVR archive and personalized recommendations. Where possible, Android’s TV Provider was used to store all this information in a local database and keep all data up-to-date. This ensures fast access to all data and is essential for a highly responsive user experience. Many features like user profiles or favourite channel lists are not supported by Android TV’s Input Framework. Therefore, we realised an abstraction API called Tango, which provides a unified API to access all metadata. This API is used by a separate team working for Quickline. This team was responsible to realize the whole feature-rich user interface as part of the Android TV application. Inspirational Zapper - shows the programme schedule and the channel list. 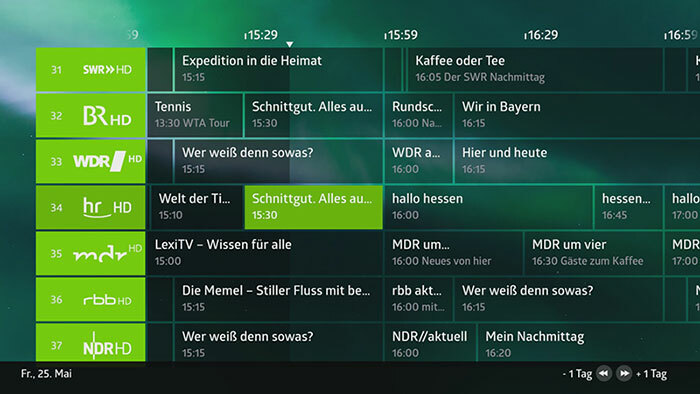 Grid EPG - gives an overview of TV events for three weeks incl. one week of elapsed events (Replay TV). Detailed View - further information and options to view events or book recordings. Recordings - list of available events of network PVR. This project has been done with an agile development approach based on the Scaled Agile Framework (SAFe). This allowed short response times to changing preconditions and enabled flexible solutions. The overall project lead was done by Dietzel Consulting who managed the involved international teams, where TARA was one of them. The Quickline Group is one of Switzerland’s leading full-service providers of entertainment and communication. The Quickline Group is an association of 23 independent network operators. It supplies around 400,000 households in the Swiss cable network market. Together, the services “Internet, TV / Radio, Landline and Mobile Telephony, Cloud” are marketed under the “Quickline” brand. The Quickline network is the third-largest TV provider and fourth-largest Internet and telephone provider in Switzerland.